Only 3 left in stock! Final stock allocation! Once they're gone, they're gone. 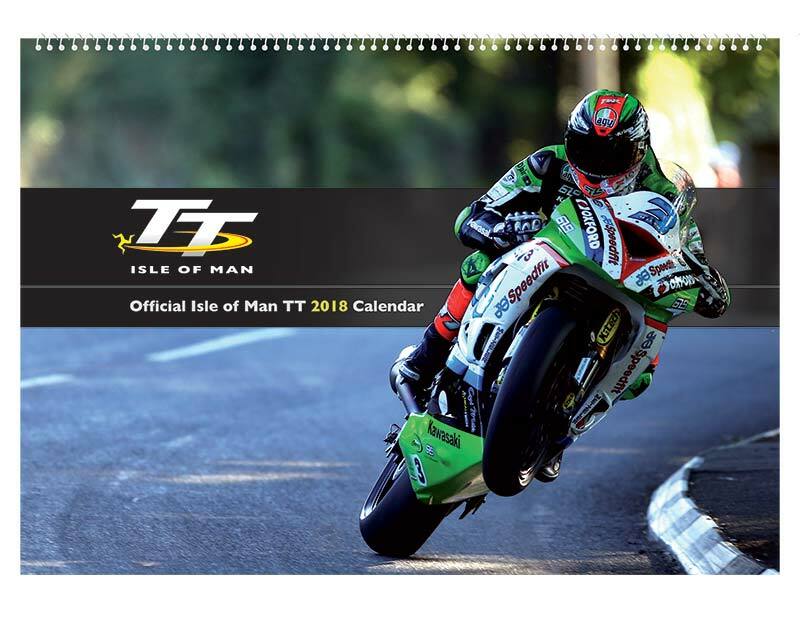 Official Isle of Man TT 2018 Wall & Desktop Calendar. Isn’t it strange that you spend all year counting down days until the TT rolls around but there’s no official calendar to count down on? That oversight has been corrected with the Official Isle of Man TT 2018 Calendar. In June we asked all the accredited photographers to submit five of their best pictures to our competition to select the thirteen best for the new calendar. It took until mid-September for us to make our final decisions about the shots, the quality of the entry was that high. We were looking for pictures that showed the essence of the TT, not necessarily the most dramatic, but the ones that told the story of what it is like to race on the 37.73miles of the Isle of Man TT Course. We think you’ll agree that the pictures we’ve chosen go a long way towards doing just that. Featuring the work of 12 different photographers, this is a great way to count down the days and enjoy some stunning pictures at the same time. Photographers featured: Tim Keeton (Impact Images), Dave Kneen (Manxphotosonline/Pacemaker), David Traynor (clickspeedphotography), Gavan Caldwell, Paul Phillips (Competitive Images), Steve McDonald, Will Broadhead, Tracey Killey, Jack Corry, Stephen Davison (Pacemaker), Stuart Baker (SBfotosport) & Sean Corlett. Wall calendar: 420mm x 300mm (A3) landscape format, printed on high quality, semi-gloss Epson 200 Galerie photo paper. Desk calendar: 115mm x 135mm portrait format, printed on stiff semi-gloss photo paper. 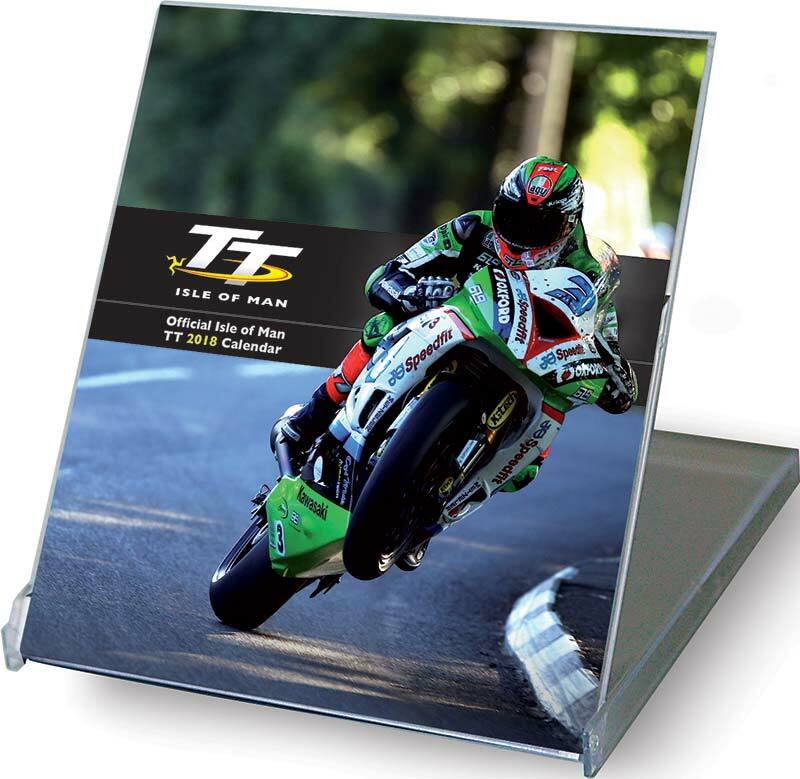 Featuring the very best photographs of TT 2017, this official calendar means that you can enjoy the World's biggest real road race throughout the year.